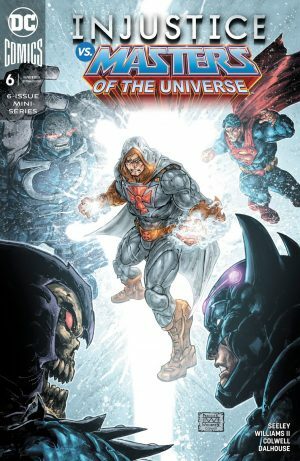 DC Comics Universe, Mattel & Injustice Vs. Masters Of The Universe #6 Spoilers: How Does This Epic End? 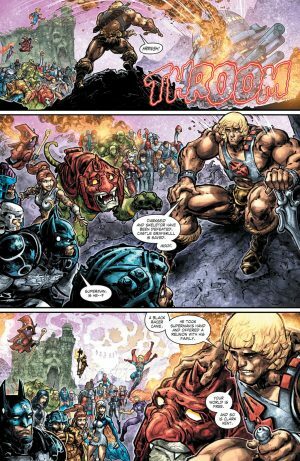 What Are The Fates Of Superman & He-Man? 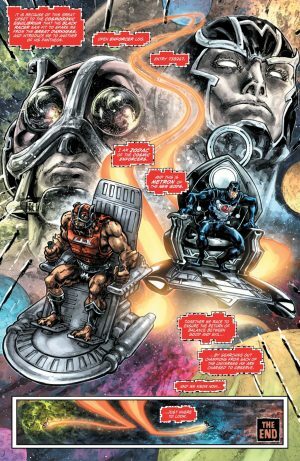 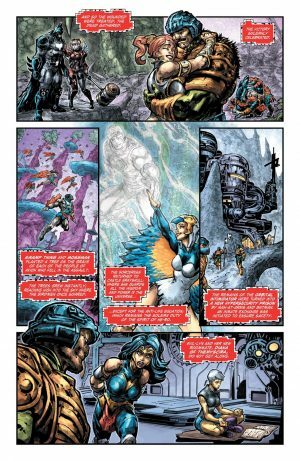 DC Comics Universe, Mattel & Injustice Vs. Masters Of The Universe #6 Spoilers follows. 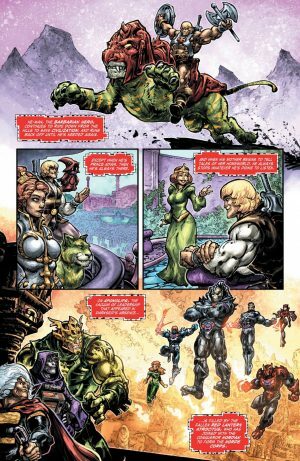 How Does This Epic End? What Are The Fates Of Superman and He-Man? 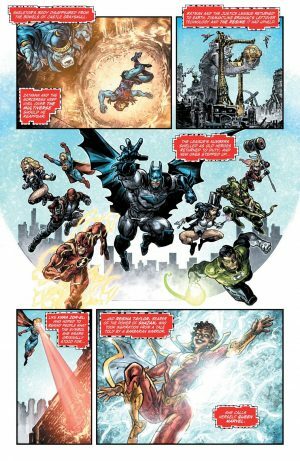 The Black Racer reunites Superman with his family; so presumably he’s dead. …while the Justice League expands including with the power of Shazam! …and the scales of good and evil balanced.